One of the first LDs in the world to get his hands on Martin Professional’s new MAC Viper Profile moving head is UK lighting designer Matt Mawdsley who recently used the powerful 1000 W fixture on the Red Bull Badminton Super Final at Central Hall Westminster in London on August 6th. Hailing the Viper Profile as the fixture he has been waiting for, Matt covered the venue’s dome ceiling and stage in images and patterns. 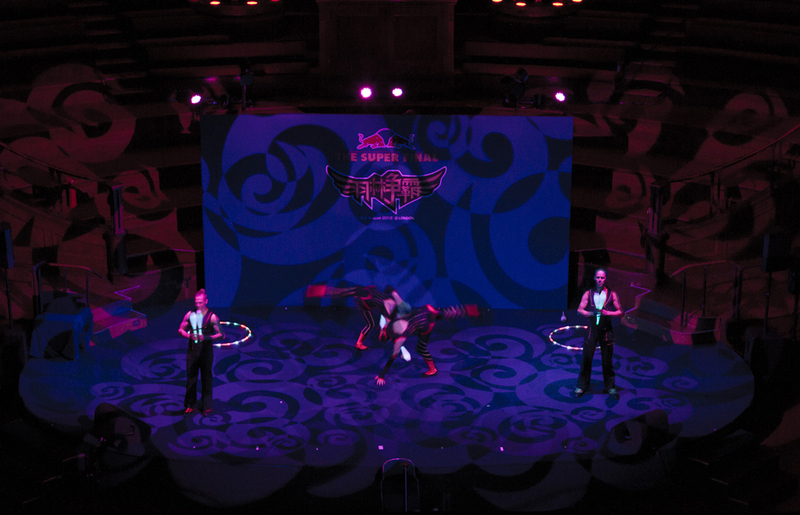 Lighting rental company Stage Electrics supplied the Vipers and other lighting for the event. "The MAC Viper Profile is really bright and produces perfect colors with really sharp image quality,” Matt says. “I had many people ask what the lights were because of the gobo sharpness and brightness. I’ve never had that happen before!" Badminton England and Red Bull China hosted the special event, which showcased some of the best amateur badminton talent from both countries and was a celebration for Team China. The event was broadcast live to China and the rest of Asia. “Given that the fixture uses a 1000 watt lamp, the output cuts through everything. Up against a rig containing amongst other fixtures 18 MAC 2000 Wash XBs, the light output and gobos from the Vipers were still easily visible. The image quality when selecting textures and patterns is very sharp and the zoom is massive,” Matt states. The MAC Viper Profile is the first variant in Martin’s new 1000 W MAC Viper family of automated fixtures. Its 26000 lumens of power, speed, compactness and low power consumption all outperform that of 1200 W fixtures.